Tag Archive | "Contact With Space"
The following is an article that is written by Dr. Conny Huthsteiner and was published in Annals of Institute for Orgonomic Science, Volume 10 December 2005. Considering its importance and relevance to our climate changes, we decided to post it in our journal. 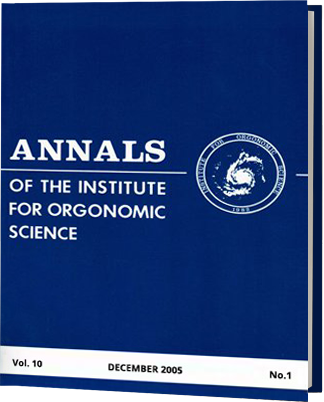 This article was initially published in the Annals of the Institute for Orgonomic Science Volume 10. December 2005. Dr. Conny Huthsteiner and Annals editor both granted us the permission for this posting and we are grateful for this permission. This article has several appendixes at the end which because of consideration of its size and volume we refer our readers to review it in the main published article in the Annals. The title of the appendixes is written at the end of this article. In this report I have compared Reich’s record of events, as described in Contact with Space, with official data from news agencies and government sources, to see where there might be discrepancies, and where they correspond. Reich often quoted radio and newspaper reports in his literature. In doing so, several things were accomplished. First, I could confirm that Reich was indeed reporting changes that were in fact documented by independent sources. These changes appear extremely significant, even given that fact that weather events are notoriously unpredictable. Second, I could observe that weather changes occurred in Arizona after Reich’s departure that he no longer was aware of and did not even report, as he had to return to Maine to appear in court on contempt of court charges. Those weather events were also massive. Reich never claimed any credit for them. Their occurrence interrupted military maneuvers and probably caused significant concern. I gained a sense of the political atmosphere of the time–McCarthyism was rampant, public opinion was broadly supportive of the bomb, and above-ground atom bomb tests were extremely frequent. I also saw how the local news media reported UFO sightings, which puts Reich’s UFO observations in their historical context. Although I do not discuss his UFO observations in depth, it is important to note what the tone of public discussion of UFO events was at that time. Detractors of Reich often have more “fuel for the fire” of ridicule when they hear of his interest in and observation of UFO activity. Even some of his closest coworker found this interest of Reich’s one that they could not share or understand. What is important to see is that during the specific years of 1954-1955 public discussion and news reporting of UFO observations were remarkably open and frequent. Clearly, with the scientific community warning international leaders about the danger of global warming, the issue of weather modification in our time takes on particularly great significance. Reich foretold of the change in our atmosphere, and warned the spectators in court at his trial that there was a “planetary emergency.”3 He believed it would endanger the planet were he not allowed to continue with his research. In light of the information I am presenting, his warning was remarkably prescient. His death and political destruction is a tragedy that extends far beyond the death of a great man, since his knowledge and insight have essentially remained lost to the scientific community since that time. I have included graphs of weather events for the months Reich was working in Arizona, to compare daily results gleaned from the local newspaper, the Arizona Daily Star, with daily events as he recorded them in Contact with Space (Appendix C). After he left Arizona, there are only weather records taken from the daily newspaper and governmental documents. For the months of April through August of 1955 I have transcribed sections of the daily paper to convey a fuller sense of the effects of the monsoon storms that hit Tucson that summer (Appendix D). I have also included a map of Arizona to aid with geographic orientation (Appendix E). A time line of events for the years Reich was involved with weather engineering is provided (Appendix B) to help the reader keep historical events in focus, as many things were happening very quickly for Reich during this time. His research included many weather modification experiments before the move to Tucson, which were also significant and of historical interest. This article does not address those experiments, so I have not cited any sources. I have, however, compared most of those experiments with national weather data for the time and can confirm that the events he described took place, although one could argue whether or not his efforts influenced their occurrence. For the purpose of this paper I have restricted my discussion to events as described in Contact with Space. A primer on the physics and execution of weather modification as described by Reich is also included (Appendix A). This primer may be of particular interest to readers who have not had access to the now-rare journals he published, as well as readers who are now to the field of orgonomy. Hopefully, it will provide insight into Reich’s understanding of the process of weather modification. There was a bizarre congruence of events at this time. Operation Teapot, a series of aboveground A-bomb tests, was carried out in Yucca Flats, in the area northwest of Las Vegas, Nevada, during 1955, starting on February 18. 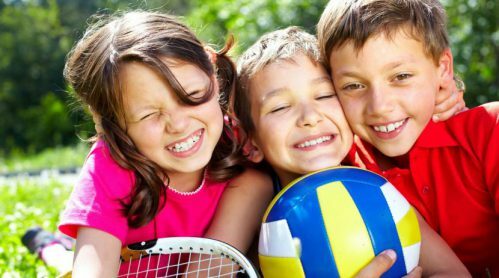 Altogether at least 14 tests were conducted, taking place on February 18 and 22, March 1, 7,12,22,23, and two on the 29th, April 6, 9, and 15, and May 5 and 15. I have included documentation on what was thought to be the radioactive spread of these tests across the United States (Appendix F).4 Reich and his team were cloudbusting through the month of February and March, and sometimes saw and heard the tests taking place. Future articles will need to address the question created by these events: how have bomb tests and nuclear events affected weather in the past? What role do these events play in global warming? Have they created over time a massive hyperexcitation of the planetary orgone energy field, as Reich feared? Are the hyperexcitation and DOR-like transformation responsible for the warming, drought, and weather extremes we are presently experiencing? Are these weather extremes and storms– in the form of typhoons and hurricanes–an attempt of the atmosphere to cleanse itself and regain its balanced orgone energy charge and pulsatory function? One chart (Appendix F) that displays the distribution of radioactive iodine indicates that the Tucson area was only mildly affected by the Teapot Series, compared to other areas around it. Cloud this be a validation of Reich’s belief that ORURizing the atmosphere protects it against radioactive transformation? Another striking congruence was Reich’s relationships with members of the President’s Advisory Commission on the Weather, which was formed in December of 1953. This federal commission under President Eisenhower established a research facility at the University of Arizona in Tucson for Atmospheric Physics and held a conference there in August 1954, a short time before Reich’s arrival. 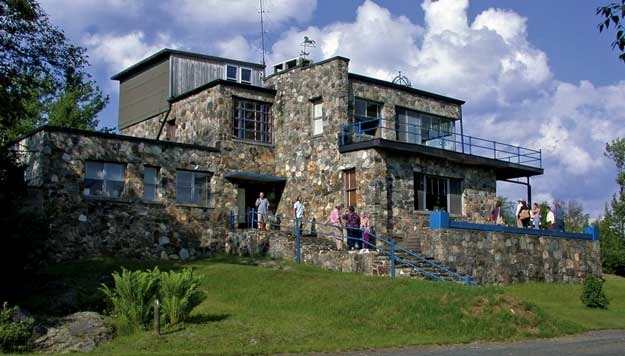 This center was the preeminent weather research facility in the country, at a time when Eisenhower was deeply interested in and committed to weather research. Dr. James McDonald, Associate Director of the facility and prominent meteorologist, later became a vocal spokesperson, on UFO phenomena for much of his career.5 Lewis Douglas, President of the South Arizona Bank and Trust Company–as well as a politically influential financier and Commission member–was in contact with Reich and assisted with his relocation to Tucson. The significance of these relationships may need to be addressed in future articles. Reich spent November 1954 through March 1955 in Tucson, Arizona, embarking on intensive weather research to see if he could bring rain to a desert region. Since his first attempts at weather modification in 1953 he appeared to have had significant success influencing weather patterns in the Rangeley Lake region of Maine. At that time he was very concerned with UFO observations as well, and he addressed both subjects in the book, Contact with Space–often in diary form–giving daily readings for humidity, precipitation, wind conditions, etc. Reich was extremely disciplined in his approach to collecting information for evaluation, emphasizing many points to reduce the possibility of error and deepen his capacity observation. He trained his co-workers to observe without preconceived notions and emphasized that one had to let observations force themselves upon the observer–they must return again and again. He tried to define the qualities of what needed to be measured. He routinely drove a certain daily route (80-100 miles) to become acquainted with the region, its vegetation, the details of its topography, and its landscape. He emphasized and tried to be cognizant of the basic rule that there is relation between the observer and the observed, and an inevitable influence of sense impression and emotional structure of the observer on the observed. Reich recorded weather data on almost a daily basis from November 1954 through March 1955, and there were a number of anomalous weather conditions during that time. The accompanying charts note how his records correlate with newspaper reports published in the Arizona Daily Star and governmental publications that report on weather events. Reich’s approach to weather modification differed fundamentally from that of others working in the field, as he applied his understanding of the atmospheric orgone energy field to effect change. For those readers who are not familiar with orgone energy concepts and how weather engineering is theoretically understood, I refer you to the “Primer on Weather Engineering” (Appendix A). Reich emphasized repeatedly that he was not simply trying to “make it rain” in Arizona, but was trying to unblock the barriers to natural weather events in the region by drawing stagnant orgone energy from the atmosphere. By doing so he hoped to re-establish the natural flow of energy around the planet, thereby allowing rain cycles to seasonally occur. Reich initially sought to increase the general humidity level for those months. He hoped to encourage plant growth enough to prepare the soil for later heavier rains, thereby minimizing erosion. Influencing humidity is a goal unique to ergonomic clord engineering. Weather engineering efforts traditionally focus primarily on cloudseeding and make no claim or effort to affect humidity. Cloudseeding involves weighing down clouds with chemical substances that encourage droplets of water to form and fall before they might otherwise do so. Cloudseeding can only cause rain to occur where clouds already exist. In places where the humidity is low, or no clouds are present, cloudseeding is a useless effort. In November, Reich initially used the cloudbuster as designed and used in Maine, 11 although the response was slow compared to his experience on the East Coast. The DOR (Deadly ORgone energy, a form of orgone that Reich believed had been transmuted by the effects of radioactivity and stagnation so as to be drought-producing and life-inimical) levels in the desert were much higher than in Maine. He believed the desert environment itself showed signs of protracted DOR exposure, so much so that any attempt at rain would only lead to massive erosion due to the incapacity of the environment to even begin to absorb moisture. The frequent sighting of UFO’s, which Reich referred to as “Ea’s” (Energy alphas) as well as the frequent above-ground mom bomb tests, created DOR levels that were very high. Reich thought it possible that the UFO’s were using the atmospheric orgone energy to motorize themselves and, in the process, transforming it to DOR. In Contact with Space12 Reich describes the environment’s response to the first days of DOR-busting (his term for the process of drawing DOR out of the atmosphere with the use of a cloudbuster). In the first days of November the surrounding desert region, particularly Mount Catalina, reacted to DOR removal with greening-spreading toward Mount Catalina, climbing up the mountain slopes, extending slowly toward the north along the highway, and to the east and west. By December the greening was several inches to a foot deep, in a territory about 40 to 80 miles from Tucson with prevalence to the east and north. He noted that grass was growing deep where no grass had been before, where only barren sand had been for as long as people could remember. He noted that this occurred without a drop of rain. 13 The weather report in the local newspaper confirms there was no rain in November. There is often a noticeable difference between humidity readings taken at 5 a.m. and 5 p.m. at the airport south of Tucson, and the readings taken at noon and 5 p.m. in downtown Tucson at the University of Arizona weather station, both of which are reported by the newspaper. At the University of Arizona, where the Institute of Atmospheric Physics had located its research center, readings are always higher by about 5 percentage points. I assume that Little Orgonon, Reich’s base camp, which lay even farther north of Tucson, might have had consistently higher humidity readings as well. He noted on November 7 that moisture had risen from 15 percent to 65 percent relative humidity, 14 which was very high for that time of year in the region. Humidity levels in the desert were rarely above 15 percent in that era of drought. Reich noted strong cloud formation on November 9; the newspaper reported that on November 10 there were “unexpected gusts up to 30 mph … despite lightly overcast skies, humidity 6%.” On November 12, the weather bureau reported rain was corning to the west of Tucson, over Mexico, San Diego, and Los Angeles, corresponding with Reich’s efforts to draw orgone energy from the west. Rain seemed to fall all over the Southwest, including Mexico, California, and Utah, but not in Tucson. Toward the middle of November Reich observed more UFO activity. Correspondingly, the humidity levels seemed to drop, and readings were in the high 20’s and 30’s until December 1, when they were up in the 40’s and 50’s. There continued to be clouds and increased humidity, but no rain. Reich observed very heavy DOR, with high Geiger-Mueller counts at the cloudbusters; one operator of the cloudbuster fell ill, presumably due to exposure to heavy amounts of DOR. The time needed for operating the cloudbuster was much greater than his team had experienced in Maine, where 30 minutes or an hour could profoundly influence weather conditions. In Arizona they let the cloudbuster open and operate the entire night, and still the atmosphere was droughty with only temporary improvements in humidity. In December, Reich decided to have an ORUR needle delivered to Arizona to expedite the drawing process. The ORUR needle is a one-milligram radium needle that has been exposed to a stro ng orgone energy (OE) environment for an extended period of time; Reich found that the use of the needle worked to increase the drawing capacity of the cloudbuster significantly. After the needle was delivered in December, the change in the weather effects seemed to accelerate and to remain, despite what appeared to be persistently extreme DOR conditions. Temperatures dropped to record lows. Erratic winds occurred. Humidity levels remained above 20 or 30 percent throughout the day, for more consecutive days. Reich had the sense that the change they were trying to accomplish would have been very difficult to achieve without the potentiating effects of the ORUR needle. He did observe that while there was little actual rain in the southwest during November and December, there were very heavy rains in the northeast. He assumed this was due to the galactic stream picking up the moisture in its course toward the northeast. January began with many days of continuous rain in the Tucson area, which Reich believed was a direct result of the use of the ORUR needle in cloudbusting. Extraordinarily high relative humidity values were reported for most of the month, both at 5 a.m. and 5 p.m., as well as record levels of precipitation. Generally it was very cold with plenty of snow. There was a stretch of record cold days. The precipitation and heavy storms were also apparent in Mexico and southern California, where flooding resulted in highway closures. Rain was also hitting Texas 1and other southern states hard. Reich refers to the “Oranur rain” which he feels was induced by the strongly energetic draw made possible by the ORUR needle. The January weather chart shown in Appendix C includes notes from the February 2nd newspaper report, stating that January was a record record-breaking month for low temperatures and high precipitation. Interestingly, UFO sightings in Oregon were reported in the Arizona newspaper on January 29. February was a striking month, not only because of the onset of above-ground A-bomb tests. I have wondered if there might have been bomb tests that have not been reported publicly by the government. Reich thought one had occurred on February 15, and the newspaper reported tests on the 18th and the 19th, but the official governmental report included a bomb test only on the 18th. Many days in February had comparatively high relative humidity values, both at 5 a.m. and 5 p.m. More noticeably, the temperatures stayed extremely low, with a total of nine record-breaking low temperature days. Reich drew on the 15th and the 17th, and there was rainfall or snow in Tucson on the 17th. He held off from further work to allow the rodeo to take place without disturbance. However, there were two atom bomb tests on the 19th and 22nd. I assume because of them he chose to draw again on the 24th, and there were showers in Tucson on or around the 25th. This was despite high background radiation counts, and presumably more DOR, created by the above-ground atom bomb tests that had occurred. March was an interesting month for many reasons. First, there were an unprecedented number of above-ground A-bomb tests taking place not far from where Reich and his team were working. Second, it was the month Reich believed they successfully broke the “atmospheric armoring,” that paralleled his medical/ psychiatric work with character armoring. He and his team moved west to Jacumba, in the California Sierras, where he thought there was a barrier to the flow of fresh orgone energy from the west. At that site he worked with the ORUR needle. They drew until they felt the gentle breeze or wind they associated with the initiation of a free flow of energy. His team worked several days in Jacumba and neighboring towns, which are in the western “Sahara,” a desert region drier than Tucson. When he returned to Tucson, Reich observed unusually high Geiger counts in open atmosphere, which dropped significantly during the evening hours. The high counts were observed for four to five days toward the end of March, in an atmosphere that was otherwise grey-blue, and pleasant. cleaning out of the atmosphere, the same way a fever can be a sign of the body’s effort to combat and drive out infection. He saw the beginning formation of dust devils as an indication of the movement of DOR out of the region. These dust devils became much more apparent in April. 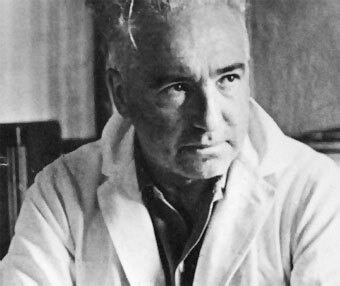 One might assume the elevated Geiger counts Reich reported were due to the A-bomb tests, but it is unclear whether Reich used Geiger counters that he had “soaked” in an orgone accumulator. He reported in other articles that Geiger counters so treated respond differently to the atmosphere and to nuclear radiation, and he used them to measure orgone energy activity. Perhaps more information regarding this aspect of the research will become available in the future. The newspapers, while focusing on slightly different parameters, were basically consistent with Reich’s reports regarding rainfall and the A-bomb tests. His co-workers became ill on the day of an A-bomb test. From March 8-11, Reich noted the increasing wind and cloud buildup that coincided with newspaper reports of storms starting in San Diego and eventually extending to the southwest. Reich’s observations on March 20 were also confirmed by the newspaper reports. Reich did not note that there were unusually low temperatures throughout the month; but, in fact, historic lows were registered in March. Significant drops in temperature often accompanied cloudbusting work in Arizona. It seems Reich was unaware of this effect. I assume it can occur in places where significant DOR removal is taking place. DOR tends to create drought conditions with unbearable heat. Relative humidity values were well above 25 percent for most of the month, which was consistent with Reich’s goal to increase the humidity-a reflection of increased fresh orgone energy in the atmosphere. The newspapers wrote on March 19 and 26 that dust occurred the days prior with wind on most of the days between. These were the beginning signs of the dust devils previously mentioned. Reich believed the dust devils formed when the healthy OE tried to move out the unhealthy DOR ahead of it-a sign of the atmosphere’s attempt to heal itself. He still was not attempting to “create rain” specifically but, rather, to unblock the flow of energy in the atmosphere. Reich did not report on weather conditions in Arizona after his departure. Based on the newspaper accounts, April was characterized by many dust storms, severe windstorms, low temperatures, dust devils ripping off roofs, freak blizzards in Texas and New Mexico, frequently overcast conditions without rain, and some of the worst dust storms seen in Colorado, Texas, and northeast New Mexico since 1935. A Pacific cold front was noted to be approaching. I have charted newspaper weather highlights and statistics from April, May, and June (Appendix D). In May there were cool winds and some flash floods in surrounding states. It was frequently overcast with no rainfall. There were record low temperatures and it was very windy. The average temperature was 71.8 degrees, 1.3 times lower than normal. Temperatures rose in June, with several days of record heat and at least one day of record cold. Tucson experienced freak thunderstorms and rain. Certain regions reported record rainfall, as well as hailstorms and tornado strength winds. Remarkably large temperature spans were reported for many days in June, with high and low temperatures differing from 37 to 41 degrees for seven or eight of those days. This trend continued in July, with record highs and lows, the most extreme on the 8th with a high of 108 and a low of 60, a difference of 48 degrees. This extreme variability in temperature is consistent with weather changes characteristic of “global warming.” It is interesting to note that temperatures overall were abnormally low. Also noteworthy was the funnel-like wind formation that never hit the ground. High winds and heavy rains started on the 11th. Monsoons started on the 13th, bringing 5-6 inches of rain in one day, with hail and a massive dust storm followed by rain. High humidity and high temperatures were reported on the 19th. Several highways were flooded and roads washed out. August was a month to remember: lightning, floods, trees blocking roads, hail, hurricane winds, dust devils, roofs ripped off the top of the University of Arizona weather station and the hospital-what more could happen? It was monsoon season with a bang! Most interesting, however, is the climatological data provided by the U.S. Department of Commerce, which notes that the record rainfall actually hit Tucson the hardest. One cannot help but wonder if these events were the result of Reich’s weather modification efforts, focused on Tucson-or was it just a coincidence? Monsoon rains are typical for the Arizona desert region, so given that Reich was trying to bring the “natural rain cycles” to the desert, it appears he was successful since these were the heaviest monsoon rains seen in more than 100 years. Additionally, extreme precipitation events occurred in Mexico and extended over the entire Southwest. These events did not go unnoticed-in fact, Tucson was declared a national disaster area and the military was called in for assistance because the floods that occurred were so severe. The severe precipitation of 1955 came in the middle of a climactic drought phase in Arizona that lasted from 1947-1977. Modern meteorology ascribes this drought to a phenomenon called “negative Pacific Decadal Oscillation,” in which ocean temperatures affect general climate conditions. This is a weather phenomenon only recently recognized and not yet well understood by meteorologists. 1947 was the second driest year on record, and 1953 the third driest. Clearly, the drought that preceded 1955 was itself historically significant. Nonetheless, 1955 was the third wettest year, with a record rainfall of 15.90 inches. 17 Also noteworthy is the fact that the drought, which was expected to last 20-30 years, picked up again and continued in its “cycle” until its conclusion. Again, although significance is hard to determine, Tucson reported an extraordinary number of days with record low temperatures in 1955-three in January, ten in February, two in March, one in April, three in May, four in June, three in July, and two in August. 18 In other words, 28 out of 365 record low temperatures were reported in 1955, primarily in the months Reich was actively working to influence weather conditions . I find this interesting, although its significance is still unclear. However, temperature extremes are more likely to occur with global warming. Also, record humidity levels were maintained in the region, which was Reich’s primary goal. Humidity summaries are not commonly included in newspaper reports, and there appeared to be a consistent variability in humidity readings specific to the location in which they were taken. It is certainly of value to be able to induce increased humidity, particularly if it leads to enhanced seed sprouting, or protozoal life development, which Reich believed he observed. I have speculated that the DOR conditions Reich observed in Arizona were possibly a precursor to the widespread atmospheric degradation we are currently experiencing on a planetary level. At the time, he thought this degradation was taking place and sought to “warn officials” of the potential crisis. Of course, at the time he was thought to be extraordinarily irrational in his thinking in this regard, even by those who otherwise supported his scientific inquiries. Erik Pytlak, meteorologist at the National Oceanic and Atmospheric Administration (NOAA) in Tucson, spoke with me by telephone. He reported there was a legend about a man who manipulated the weather in 1955 -a year that was characterized by a neutral El Niño and La Niño, and a negative Pacific Decadal Oscillation, conditions which would normally create weather that was dry. Mr. Pytlak confirmed that 1955 was an extremely anomalous year, one that meteorologists “normally observe every 25-50 years to occur spontaneously.” This seems to be a remarkable coincidence, even without statistical evaluation. If we take the U.S. Sahara as an example of what can occur if global warming continues, it is important to observe the process that took place in 1954-1955. It could serve to clarify some issues. Certainly, it is well known that weather and air quality affect emotional, physical, and mental health in a multitude of ways, including increased arthritic joint pain with humidity, seasonal affective disorder, asthma, and skin cancer rates-the list is long. It is common for us to speak about the feelings we have in particular “atmospheres,” in which we experience a sense of well-being or lack thereof. Why should we not approach the atmosphere as if it were also ruled by laws of biological function, and seek a way to heal what has clearly been damaged? Political arguments abound as to the etiology of the damage. Ultimately, what matters most is to find solutions. Does the atmosphere strive for “self-regulation” or self-repair, as do all other biological organisms? If so, some of the qualities we experience with global warming might be the “fever” of the organism trying to heal. Noteworthy weather phenomena that occurred in Tucson that recall the “symptoms” of global warming include: extreme variability in temperatures from one day to the next; frequent spreads of temperature difference on one day; extreme temperature lows; increased intensity and frequency of wind and wind storms; ultimate increased precipitation and normalization of extreme drought conditions via violent rainstorms. Possibly we can take this experience in the desert and conclude that increased wind activity and temperature lows might be signs of the natural process of atmospheric self-repair and regulation at work in a situation where the atmosphere has become desert-like. An abundance of research has been conducted and data collected in atmospheric sciences since Reich’s death. We know in great detail the qualities of different strata of our atmosphere. We can measure a variety of variables, plug them into computer models that attempt to describe potential weather events, and come out with projected forecasts. Without getting into an extensive discussion of modern concepts of weather functions and how they compare to Reich’s concepts, I would like to discuss some observations I made while reading The Change in the Weather: People, Weather and the Science of Climate, by William K. Stevens, Science Editor at The New York Times. The author offers a well-written summary of the history and science of the climate change we call “global warming” and the history of the theoretical and research development in meteorology- particularly since the 1950’s. I was struck by the fact that the author described weather in terms that were similar to Reich’s concepts; for example, “sometimes high pressure systems remain in place for days or weeks. These ‘blocking highs’ … can wreak damage by allowing too much or too little precipitation … one such gridlock in the skies was responsible for the flood of l993.”20The author presumably uses language that is common in meteorological circles, inasmuch as it is descriptive of phenomena, but clearly the origin of the “blocks” of high pressure systems is not understood. 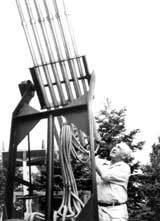 Reich used the cloudbusters to eliminate the “blocks,” which he considered barriers to the free flow of orgone energy in the atmosphere. He felt that a change in the quality of orgone would render it susceptible to such blocking. Also, a physical barrier such as a mountain range would have an influence on the free flow of energy. Mr. Stevens also writes, ” … a number of periodic climate changes interact with seasonal changes. A few variations have been identified. They all involve oscillations between alternative semistable climactic states that combine to make the atmosphere pulsate to perpetually interacting rhythms.”21 Mr. Stevens sounds somewhat poetic as he describes what Reich tried in vain to express to the larger scientific community-that the atmospheric pulsations he measured with oscilloscopes, pendulums, and Geiger counters were manifestations of orgone energy. Reich’s ideas were disregarded during his lifetime. He described this pulsation as a basic quality of orgone energy, and characteristic to all living systems as well as to the atmosphere at large. Since orgone penetrates all things, like ether, it can be extrapolated that all things, including our atmosphere, are part of the “living” or, at least, infused with orgone energy. Reich perceived this pulsatory quality in our atmosphere and concluded that its free movement was indicative of healthy atmospheric states. Mr. Stevens reports that computer models of the atmosphere that try to calculate climactic changes by integrating as many influencing factors as possible, have grids that span 150 miles horizontally and one-half mile vertically. This “resolution” is twice as detailed as it was a decade ago, but still misses many processes that take place between grid points, such as cloud formation. 22 He writes, “How well do the simulations made by general circulation models match up with the real world? The answer is, pretty well on the largest planetary scales but not at all well when one gets down to the regional scale and poorly to not at all on finer regional details.”23 This is quite different from Reich’s research, which allowed him to evaluate, predict, and influence local events. Reich understood these local events in the context of the larger planetary streams, and his ability to make this connection was unique. Skeptics might question how it is possible for a device as small as a cloudbuster to influence weather patterns over apparently such broad areas. This seems less “incredible” if one considers what happens to the flat surface of a piece of cloth if one catches and pulls one string out of its middle. If orgone exists as a “field of relatedness,” this would make sense. The inexorable interrelatedness of all things is an assumption we rarely consider in physics but are more aware of in biology and psychiatry, since living systems exist in complex interwoven relationships to their physical surroundings and each other. One can also consider the butterfly effect, described as “the sensitive dependence on initial conditions,” which is the essence of chaos theory as identified by Lorenz in 1963. It also describes how broadly spaced meteorological events can theoretically be influenced by a very small event in one location. In light of this theory, even a device as localized as a cloudbuster could have considerable impact. Reich was revolutionary in his holistic understanding of the body, intellect, and emotions in the field of medicine. His ability to understand our physical world in terms of life and the living was unique. Unfortunately, his discoveries were discarded and the knowledge he could have offered has remained obscured and, in some cases, has been lost. This detailed analysis of his weather engineering efforts in Arizona would suggest that a re-evaluation of his work could be invaluable for maintaining the atmospheric health of the planet. In his time, as in ours, abuse of weather modification efforts is always a possibility, with its associated dangers.24 Even without malicious intent, a poorly planned or unsuccessful episode of weather engineering can create enormous damage to life and property, and have repercussions of gravest significance. Reich took his research seriously, with a profound sense of responsibility for whatever effects he could have influenced. 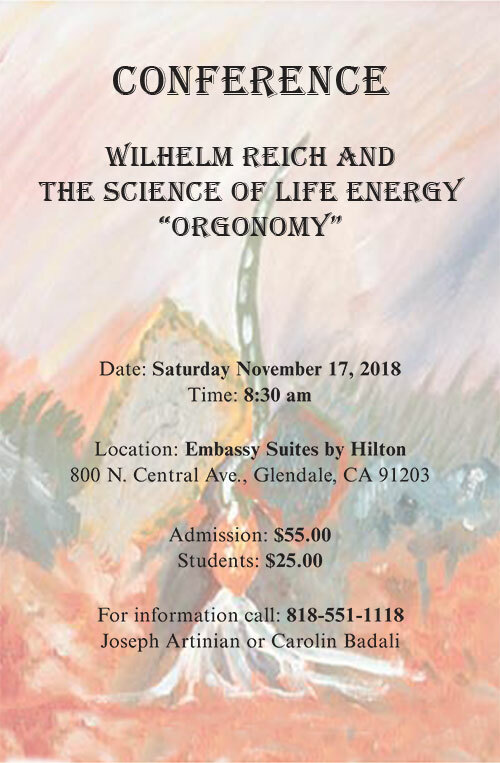 I hope this information can serve researchers by introducing them to atmospheric orgone energy and inspiring them to examine how this concept can be applied in practical ways-to heal what has been damaged. 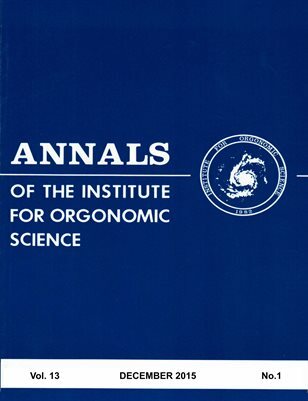 List of Appendexis:(Please refer to Annals of the institute for orgonomic science – Volume 10). 1Reich, W.: “OROP Hurricane Edna,” CORE, Vol. 7, Nos. 1-2, 1955, p84. 2Reich, W.: Contact with Space, New York, Core Pilot Press, 1957. 3Greenfield, I.: Wilhem Reich vs. the U.S.A., New York, W.W. Norton Company, 1974. 6For a comprehensive explanation of how Reich came upon the concept of the galactic stream please see: Reich, W.: Cosmic Superimposition, Farrar, Straus and Giroux, New York, 1951, Chapter 7. 7Reich, W.: Contact with Space, Orgone Energy Press, 1955, p 132..
9Bryson, R.A. and Lowry, W.P. : “The Synoptic Climatology of the Arizona Summer Precipitation Singularity,” Bulletin of the American Meteorological Society, Vol. 36, Sept. 1955, pp 329-339. 10Hales, J.E., Jr. , “Surges of Maritime Tropical Air Northward Over the Gulf of California,” Weather Review, Vol. 100, April 1972, pp 298-306; “Southwestern United States Summer Monsoon Source, Gulf of Mexico and Pacific Ocean,” Journal of Applied Meteorology, Vol. 13, April 1974, pp 331-342. 11See Appendix A, “Primer on Weather Engineering,” for a detailed explanation of the function of the cloudbuster. 12Reich, W.: Contact with Space, Orgone Energy Press, 1955, p 158. 16National Weather Service Forecast Office, Tucson, Az. 17Smith, B.: Arizona Daily Wildcat, Feb. 15, 2000. wildcat.arizona.edu/papers/93/98/0 1_ 4 m.html. 18Data for Tucson, Az taken from Davis/ Monthan AFB. www.weather.com/activities/other. 19Stevens, W. K.: The Change in the Weather: People, Weather and the Science of Climate, Dell Publishing, New York, NY, 1999, p 223. 24“The Convention on the Prohibition of Military or any other Hostile Use of Environmental Modification Techniques” was signed by the U.N. General Assembly in Geneva in 1977, and ratified by the U.S. President in 1979. An August 1996 report of the Air Force on weather modification, “Weather as a Force Multiplier: Owning the Weather in 2025,” can be seen at www.au.f.mil/au/2025/volume3/chap15/v3c15-l.htm.